Before you begin planning a deck, take a walk around your property and try to positively identify the boundaries of your yard. The most accurate survey was taken when the house was built. Next, analyze who will use the deck and for what purposes. If space is at a premium, consider building in benches with storage or planter boxes for added interest and convenience. 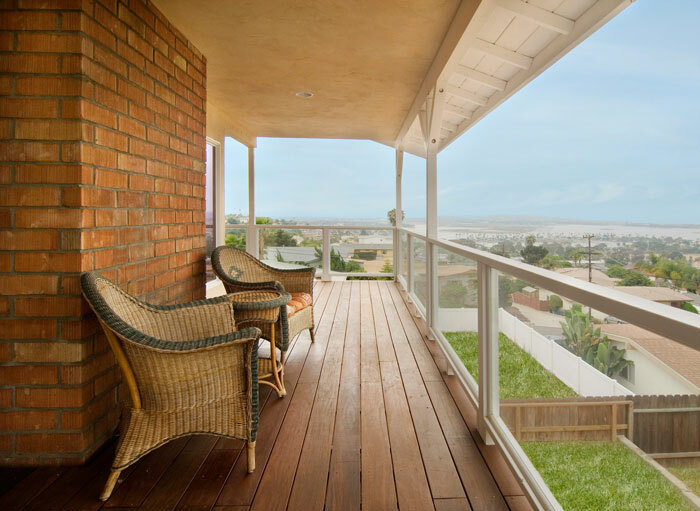 Also angles, though more expensive because of the additional framing, are a good feature to add architectural interest to an otherwise plain, rectangular deck. Multilevel decks are a popular design element because of their practical and aesthetic qualities. They can unify the back of a house, tie together different areas of a yard with a walkway, and define interesting nooks and crannies for hammocks, fountains, or other interesting areas. For example, you may enjoy a raised deck with a built-in hot tub and a lower level deck for a recessed fire pit. One advantage of a multilevel deck is that you can manage the time and budget by building out one section at a time. For example, over a three-year period you can build a three-level deck, one level each summer.